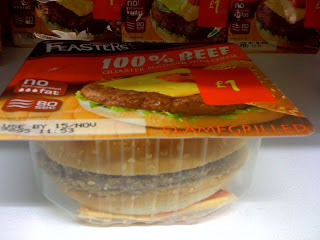 These pre-made burgers are actually quite common over here. Just zap them in the microwave, and you got yourself a meal! Honestly, it grosses me out a bit. 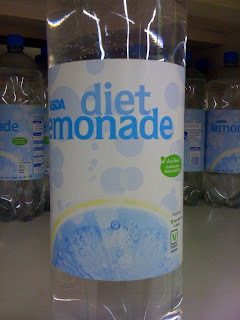 Diet lemonade...really?!? And, it's clear!!! You would think we were at Costco! 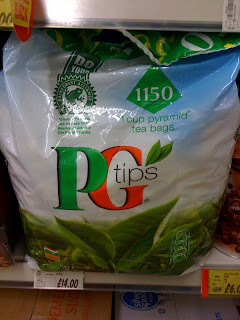 1150 teabags...for those tea emergencies! That's all I got for you. We ran across a bunch of questionable meat...no joke, actually saw some green meat...and it was all still within date. Shows you got to pay attention when you are shopping so you don't get yourself sick! Fun times at the 24-hour ASDA! Wow! You had an exciting night at ASDA! That burger looks disgusting please don't eat it!